My pictures are based on places I know but I try to represent them not as in reality, but rather, how they would reappear in a dreamlike or internal reality. The process by which this transformation takes place is largely an unconscious one and, I hope, one where the personal meaning the place has for me is lost or at least partially submerged. In it's place emerges some sort of universal meaning that has relevance for all viewers and the resultant pictures will have a meaningful content for those who are unfamiliar with the original places. I deliberately choose titles that do not suggest any specific meaning so that the viewer can make their own interpretation of the picture, based on what they see rather than what they are told. 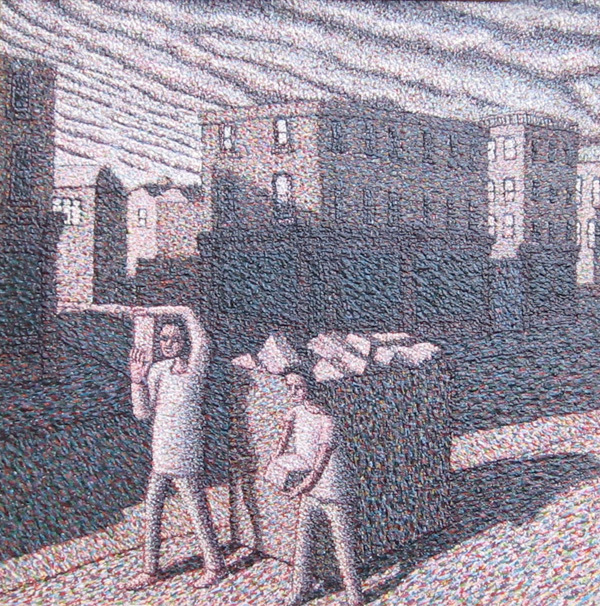 I use a pointillist style because I think that in creating in two dimensions the illusion of three there have been two great innovations, the development of perspective in the fifteenth century and the development of the impressionist style of broken brush strokes in the nineteenth century. The former locates things in space whilst the latter creates the spaces between the things. 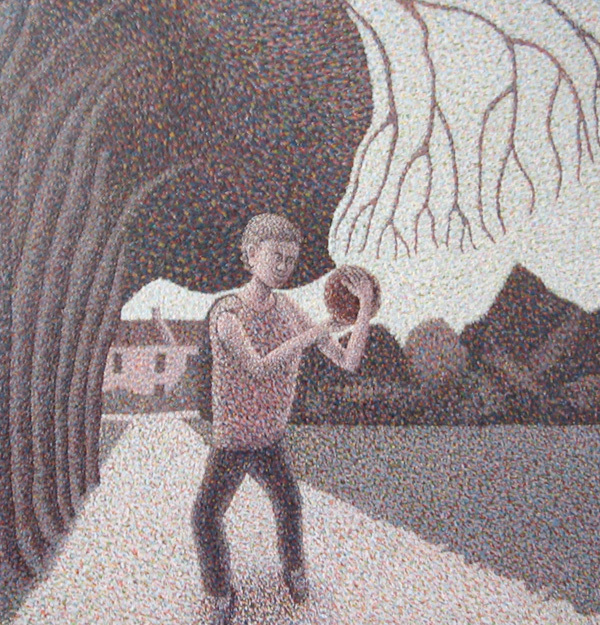 I see my paintings as part of a tradition that runs from Blake through Samuel Palmer, Stanley Spencer, Lowry and Cecil Collins. All these artists had an individual vision if not outside, than at least to one side of the art of their day. Finally, just as Lowry wanted to paint Manchester and the north-west , so I want to "do" London and the places that I know. The paintings direct us to see a special moment, but at the same time, according to the distance we put ourselves in front of the painting, that image takes on a different definition. It is almost a metaphor for our personal involvement in the events of our lives. The more you stand back from them the more they become clear. But by looking at them more closely you become more sensitive to your feelings.